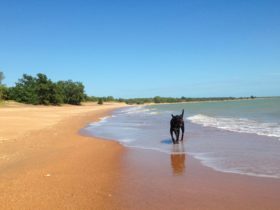 The tropical Top End is dramatic, vibrant and friendly, and offers a range of experiences. 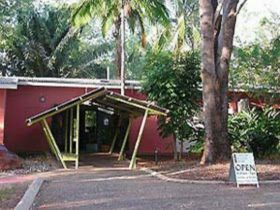 Darwin, the Northern Territory’s cosmopolitan capital, is a great place to begin exploring. 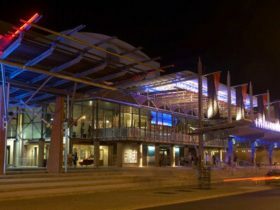 The city offers a range of accommodation and facilities, and is a popular holiday destination, thanks to its relaxed charm and proximity to the region’s iconic natural wonders. 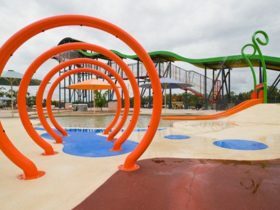 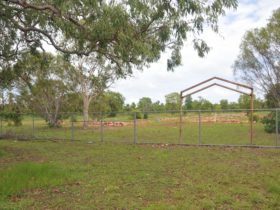 An hour south of Darwin is Berry Springs Nature Park, a swimming and recreational area and the popular Territory Wildlife Park is just next door. 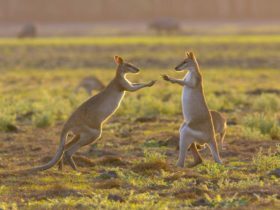 Operating on the nearby Adelaide River, regular jumping crocodile cruises provide the chance to see saltwater crocodiles propel themselves from the water. 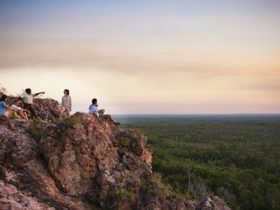 Further south along the Stuart Highway is Litchfield National Park, a great place to cool off beneath cascading waterfalls and view attractions such as unique magnetic termite mounds, monsoonal rainforests and tumbling rocky waterholes. 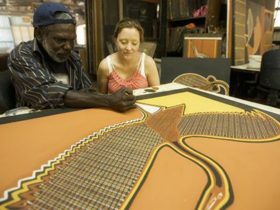 World Heritage-listed Kakadu National Park is 250 kilometres from Darwin on the Arnhem Highway. 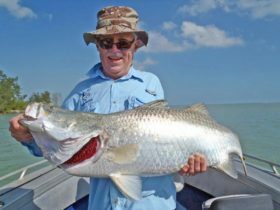 Fishing is a popular Northern Territory pastime, with Darwin and Bynoe Harbours offering excellent fishing. 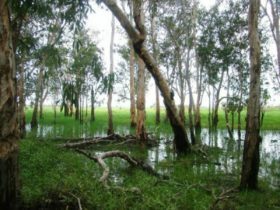 The Daly River, the Mary River wetlands and the Victoria River are among the fishing hot spots while Dundee Beach and Mandorah Beach boast stretches of sandy coastline.